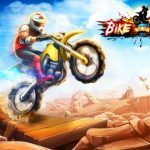 Trials Frontier is a biking game available for iOS and Android mobile platforms, courtesy of Ubisoft and developer RedLynx. 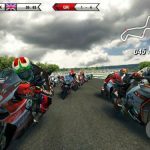 In here, you can explore a vast world on your motorcycle, mastering tracks based on realistic physics and competing against friends, as well as other players from other parts of the world. 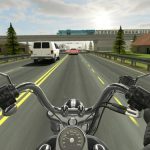 The game boasts of a variety of missions, and it’s more than just biking in this title, which is making its way to mobile for the first time – you can also help your village “grow and prosper” as you travel through different environments, as well as upgrade your bike and collect more loot. 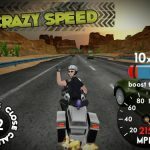 We hope that gave you a good introduction to the game, but if you want to progress quickly in this title, you’ll want to check our our list of Trials Frontier cheats, tips, and hints, which will help you complete more achievements without having to pay a single dime. When trying to finish with the best time possible in Trials Frontier, there’s one trick, if you can call it that, that you have to learn. That’s the lean, and the best way to master this is to see how in-game bikers operate their motorcycles so you can lean properly and hit the gas pedal at the right time. Lean back so your front wheel goes up, and make sure your bike is in motion as you climb a hill. Sounds simple enough at first, but this could take some practice – be patient and you’ll get the lean right. Don’t want to spend gas in order to start a new level? It’s easy – just hold on to the retry button. That beats waiting until the track is over before retrying, or retrying your run from a certain checkpoint. The time lapse cheat is still available in Trials Frontier, and if you want to get more gas for your bike without having to spend, you can go to your phone’s settings and change the time, moving it one hour ahead. Restart your game and you can race on a full tank. Switching the time back to normal won’t forfeit the gas that was refilled, though we should add that it won’t work if you’re trying to expedite bike part upgrades. If you want to upgrade your bike, you’ll have to pay in-game money, and when it comes to earning this money, it all boils down to pulling off tricks – this includes, but is not limited to front flips and back flips. You can also spin for a reward after completing a race – this will earn you new parts, upgrades, as well as gems, which are the game’s premium currency. Eventually, you’ll be able to upgrade your present bike, and you will typically be able to do this after about an hour of gameplay. But if you want to earn more coins and get more awards but are having a hard time with the new levels, you can always use your upgraded/new bike in previously completed levels.